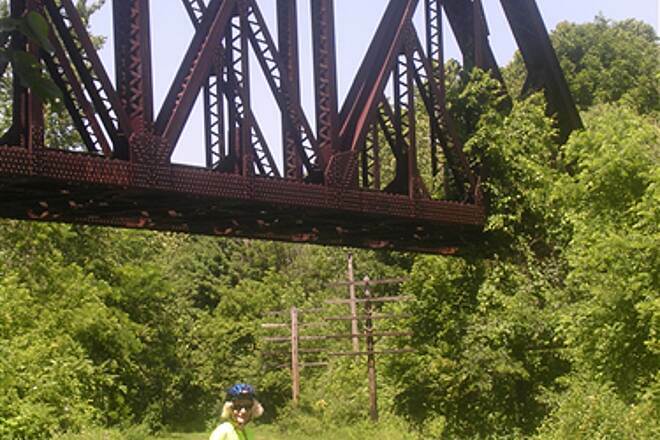 A very impressive set of structures found on the loop portion of the trail. 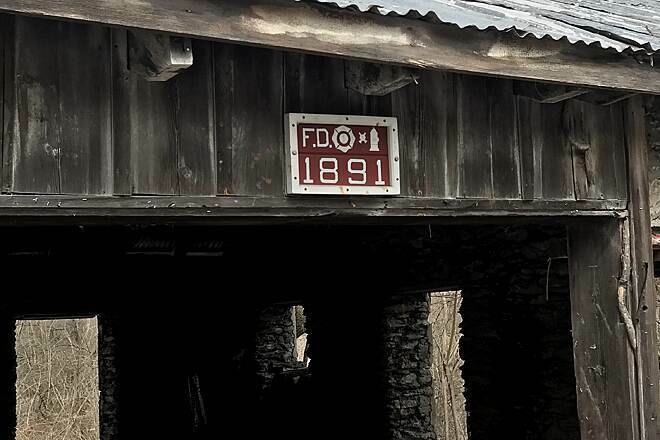 Couldn't really figure this one out as there is nothing that this fire company would be protecting except the railroad. 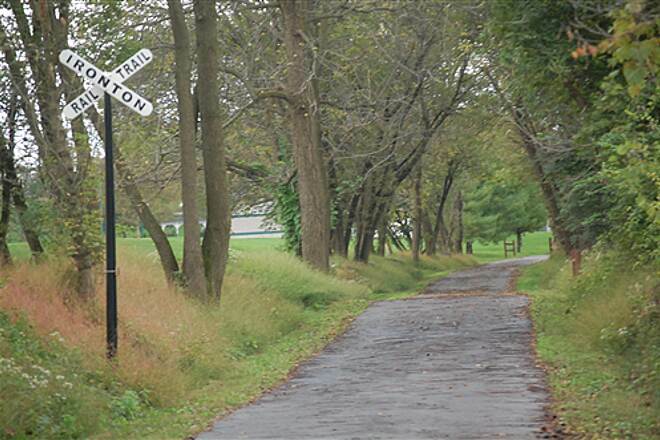 Near the end of the spur is a gun club range. 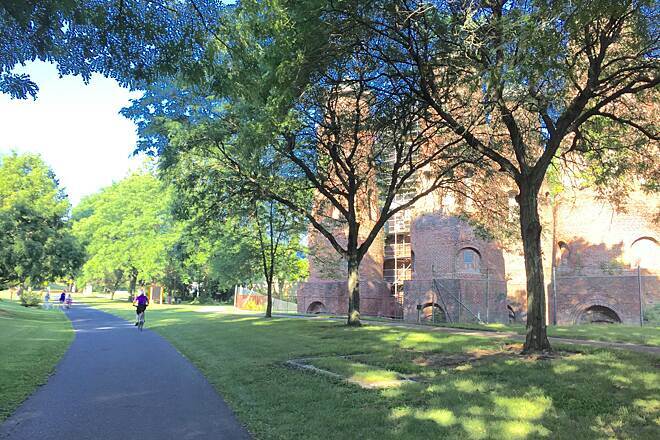 You would think it's fourth of July. 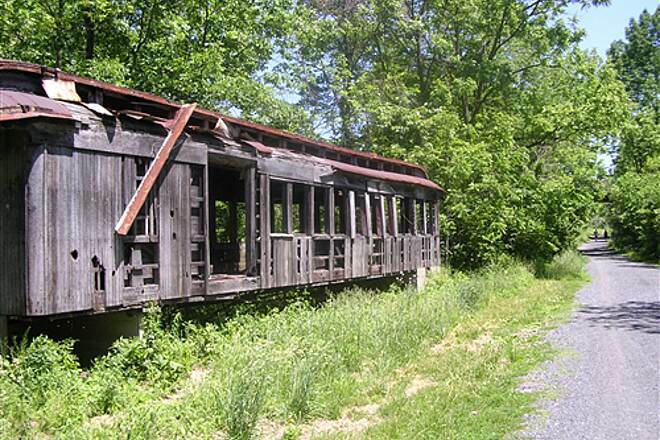 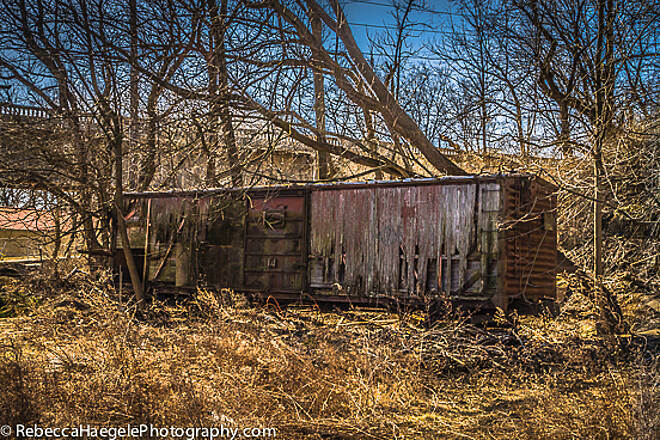 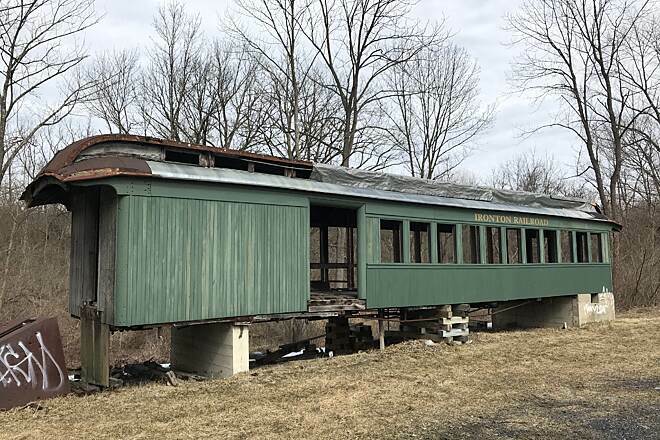 Take extension off loop, and see old structures and railroad car. 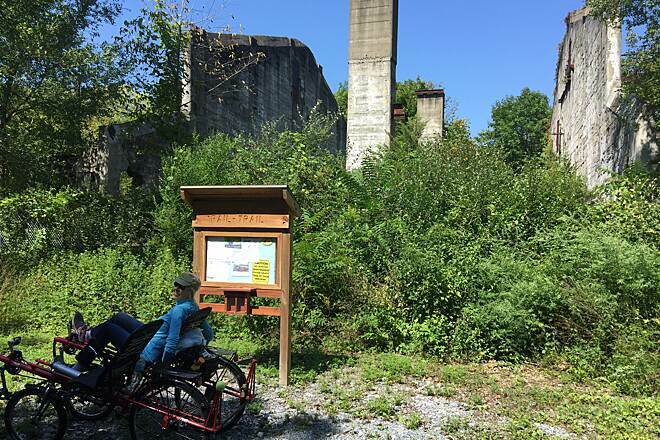 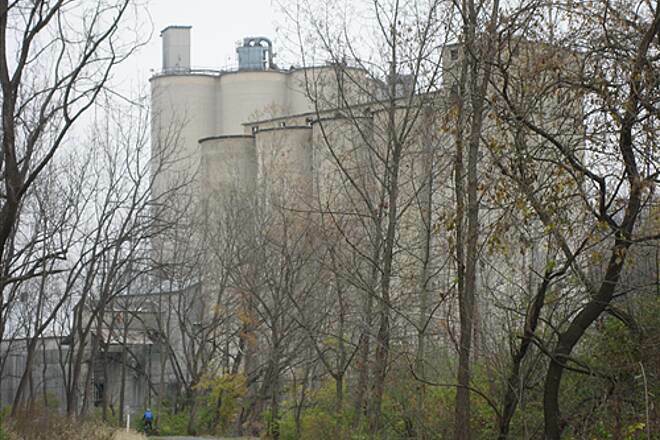 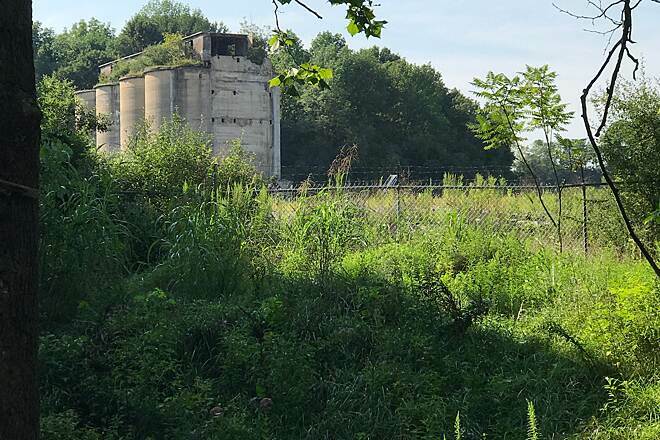 Site of the old cement factory from the 1800s. 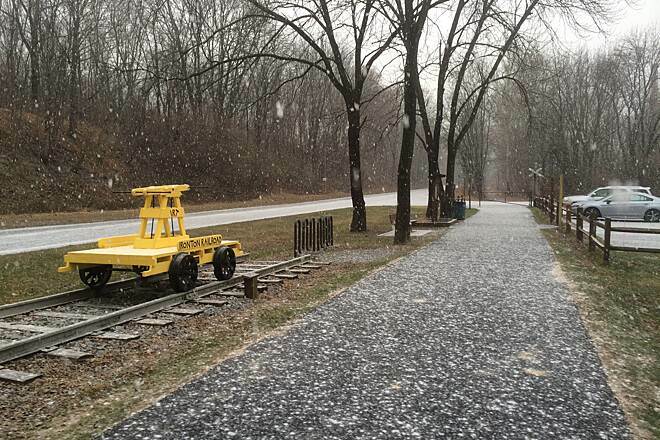 trailhead first snowfall of 2015! 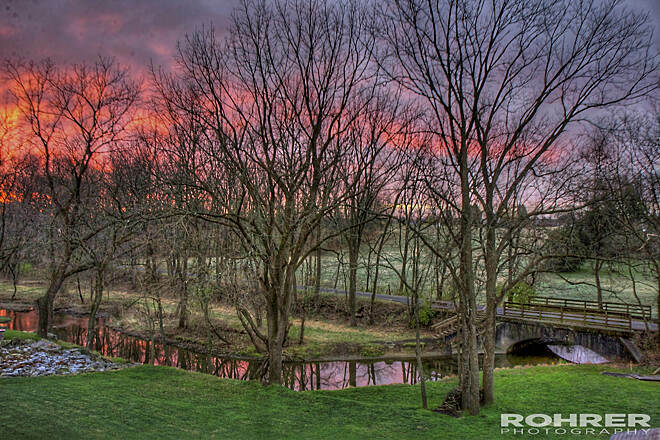 Sunrise Picture taken from my bedroom window Friday November 16, 2012 looking at the trail and creek. 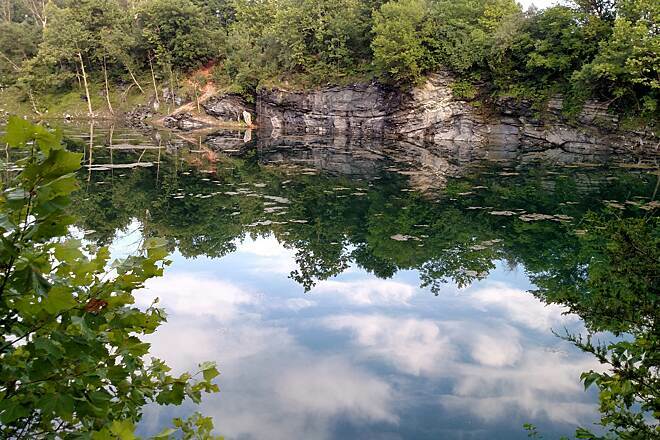 What a beautiful sight. 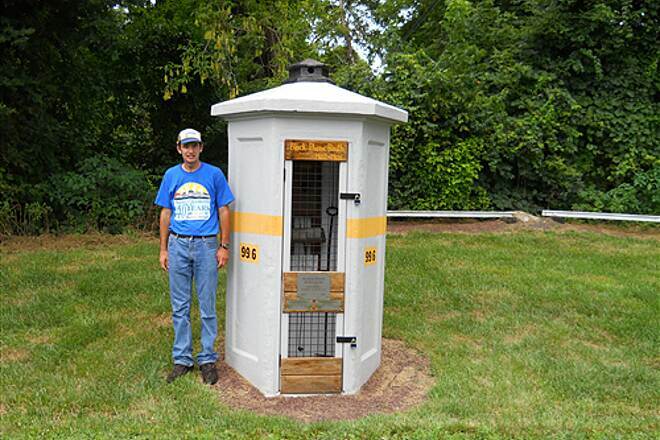 This is a booth that was used by railroad crews for communication. 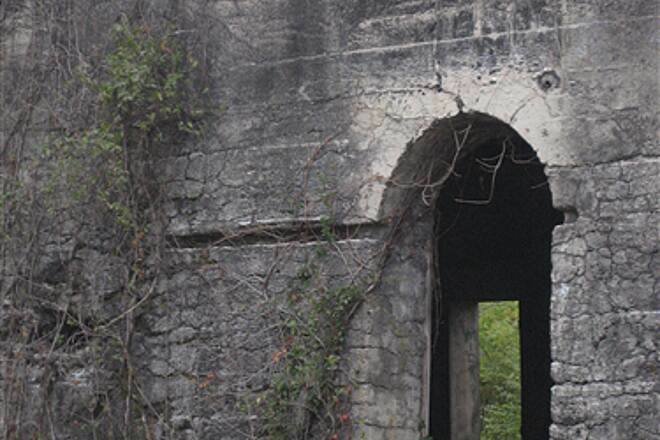 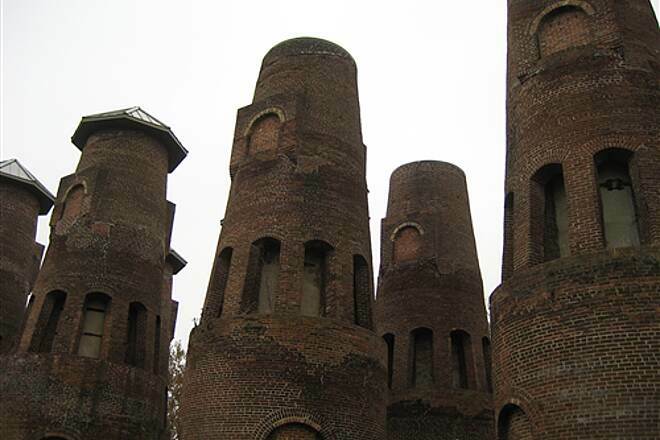 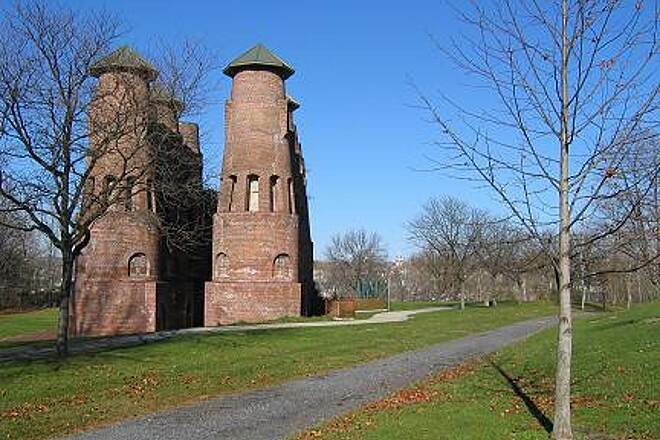 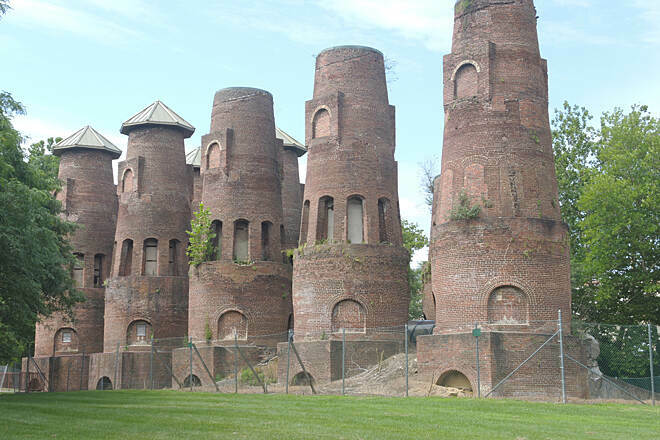 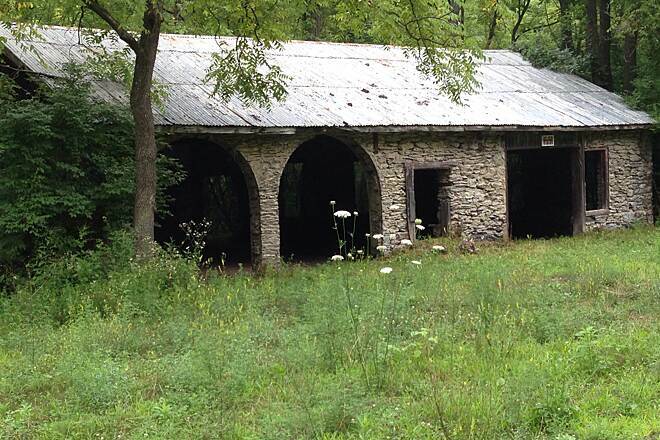 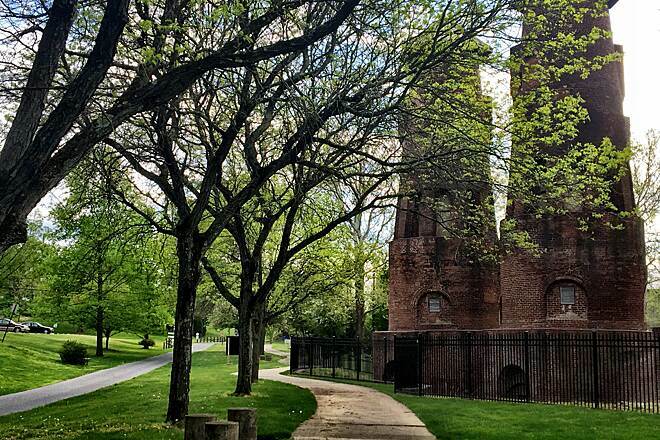 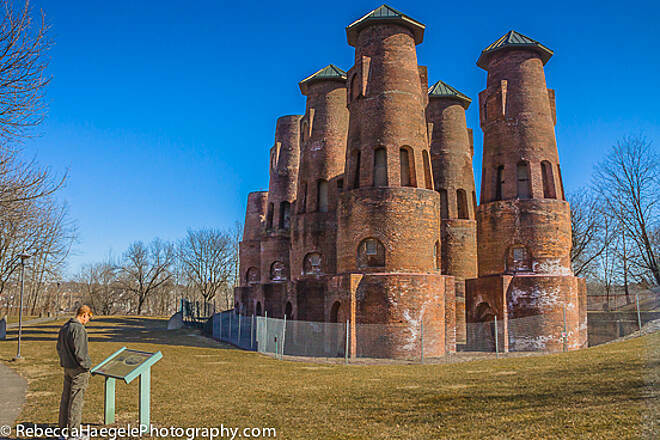 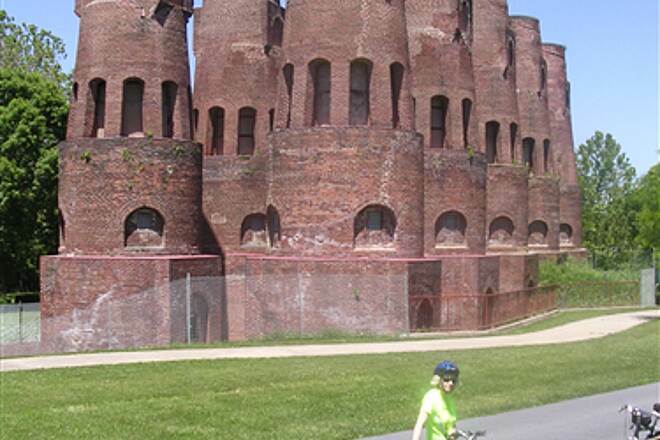 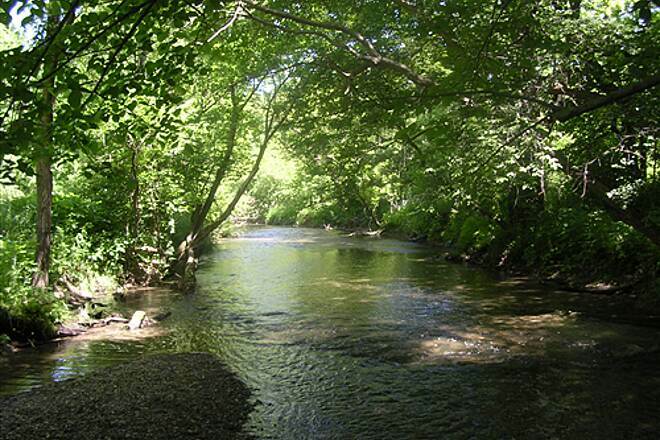 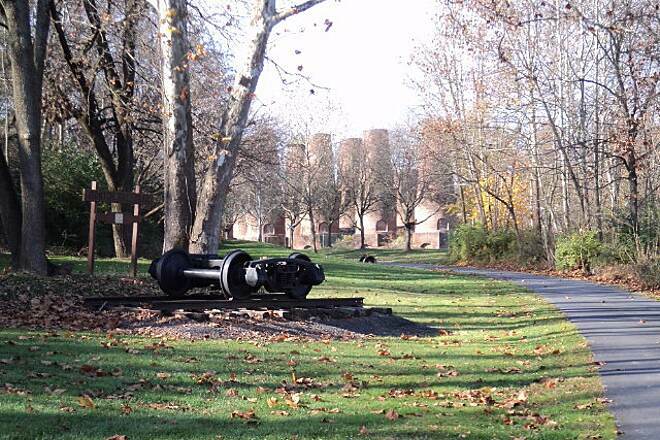 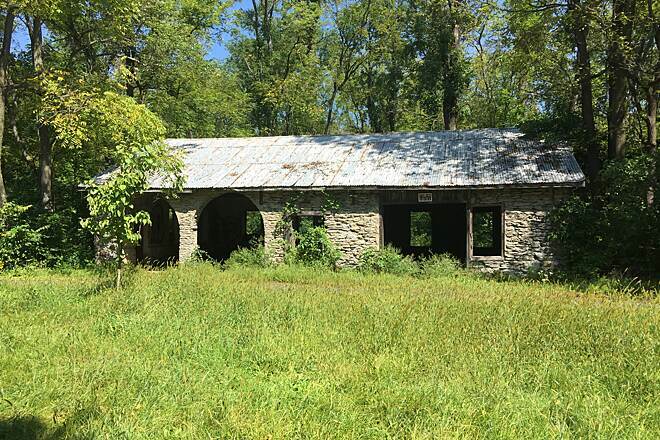 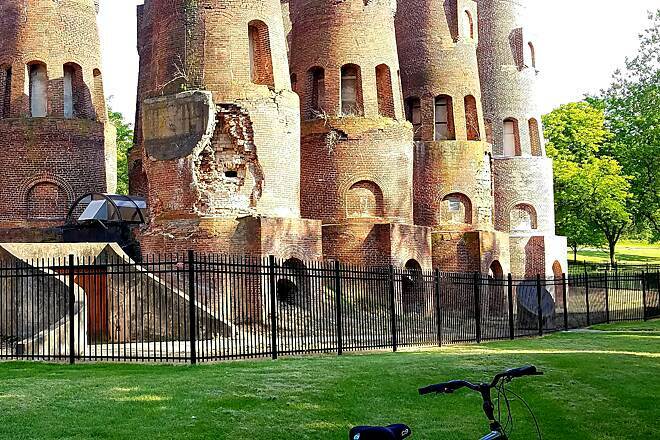 It is located in Coplay near the Saylor Kilns. 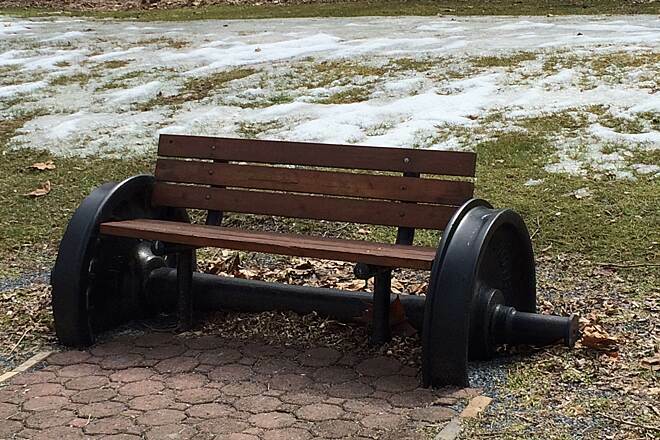 Nice shade. 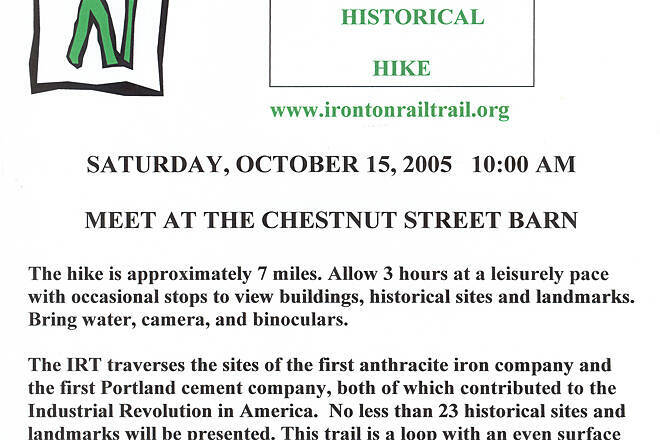 June 20, 2009. 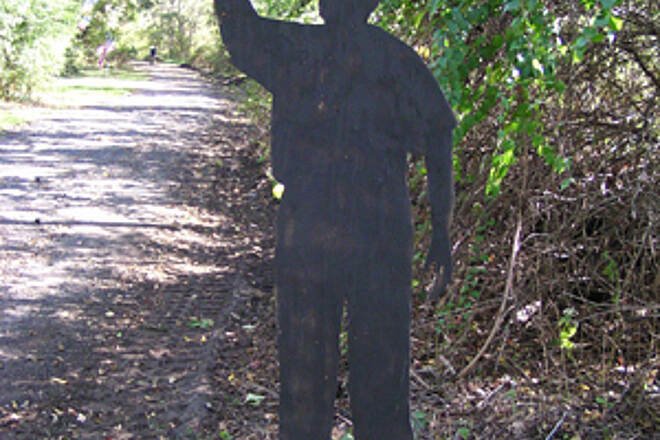 This is one of numerous decorations seen on the trail. 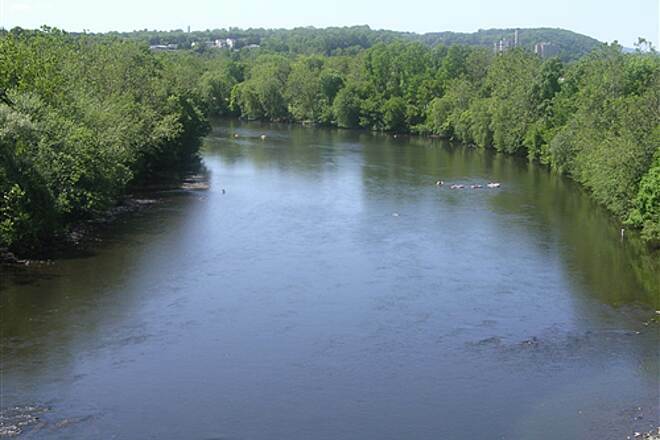 This is near the new Lehigh Street bridge. 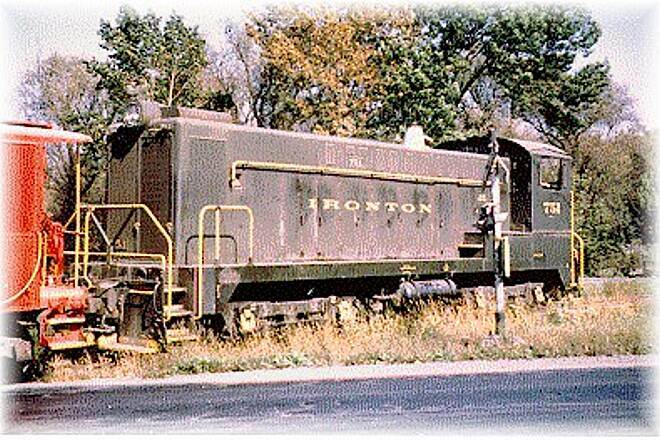 Ironton RR locomotive working the active railroad in the 1970's serving the Coplay, Whitehall, Lehigh and Giant Portland Cement Companies. 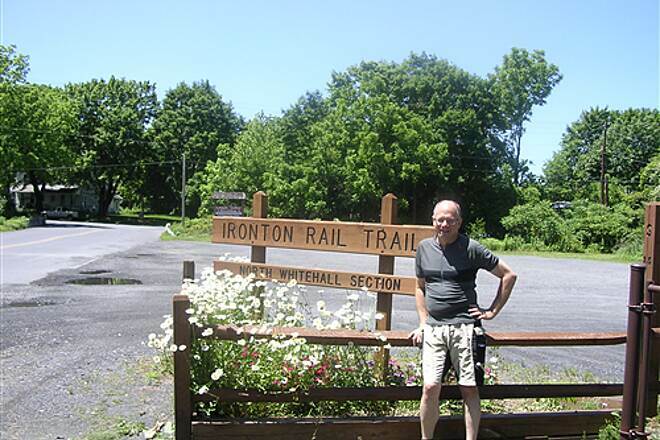 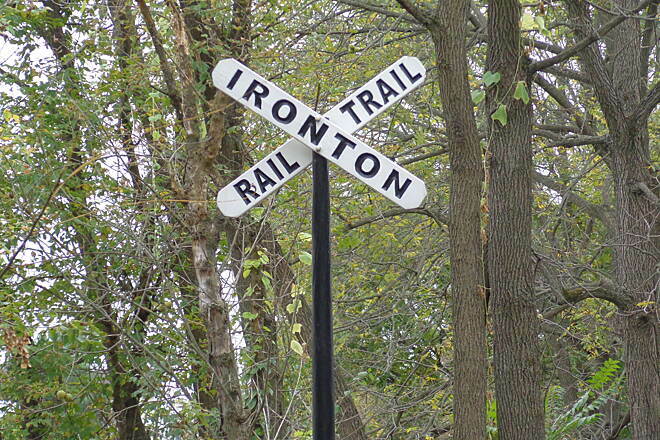 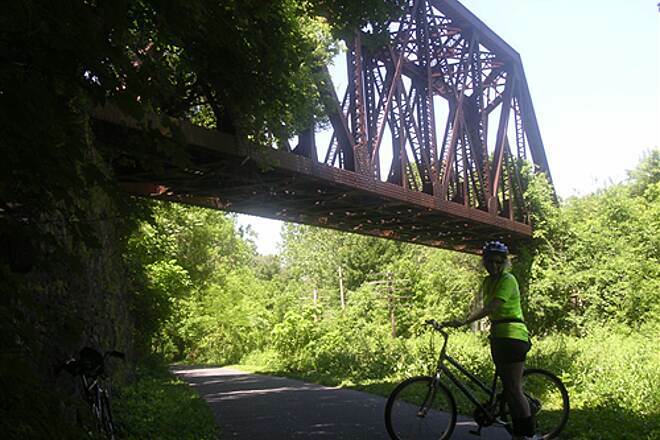 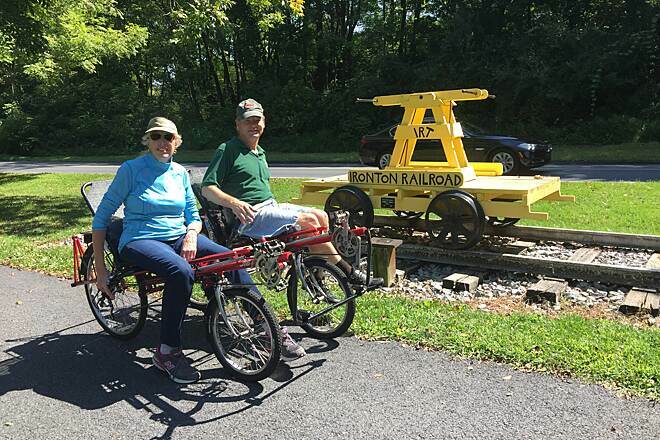 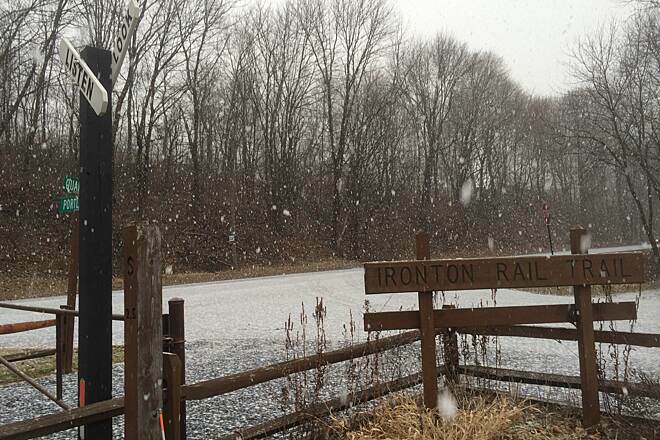 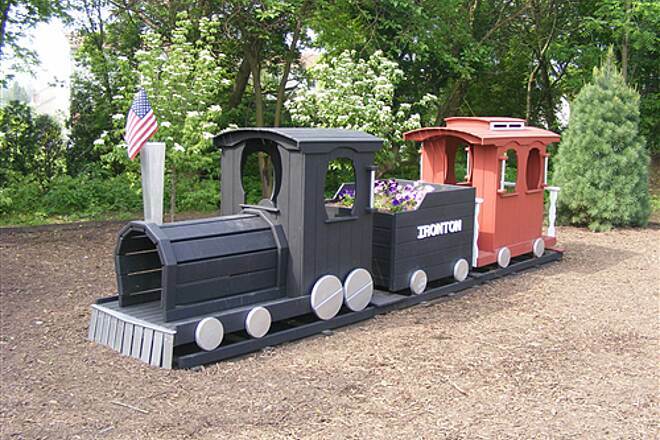 Announcement of Irontonton Rail Trail Historical Hike held In March and October of each year. 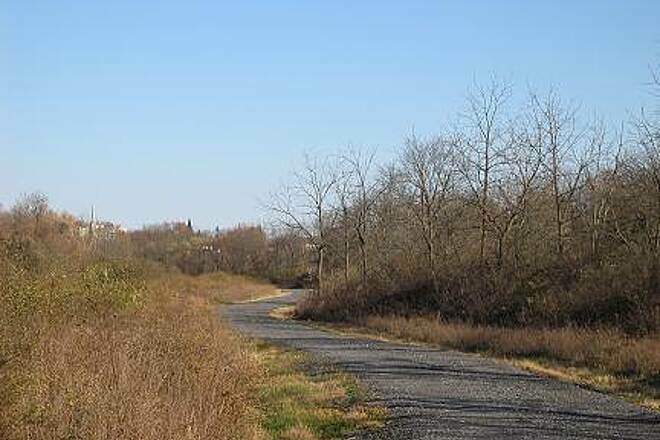 An unpaved trail segment near Saylor Park in the Borough of Coplay. 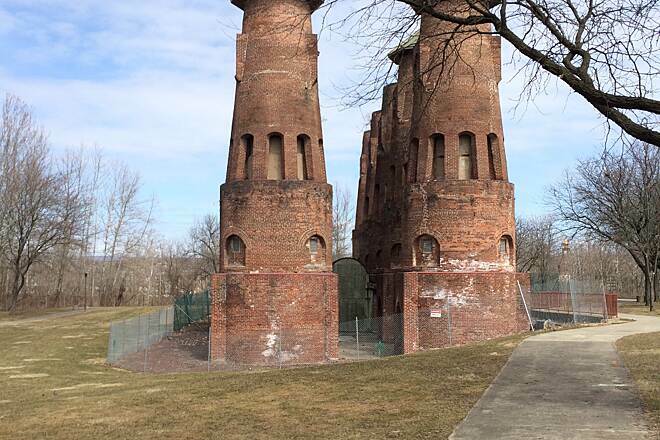 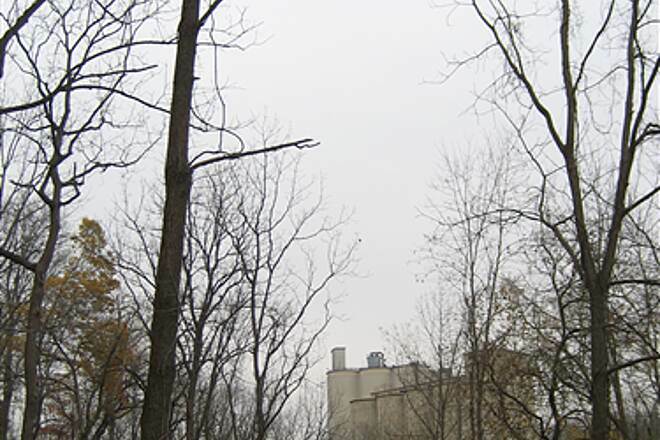 The historical Cement Towers are in the background. 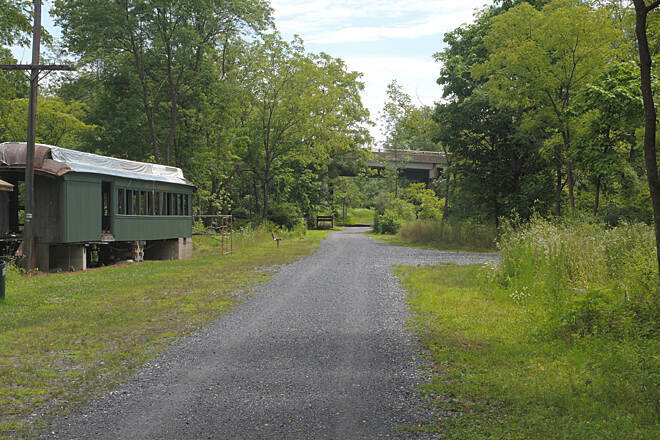 The trail bridge spanning Lehigh Street in Whitehall Township. 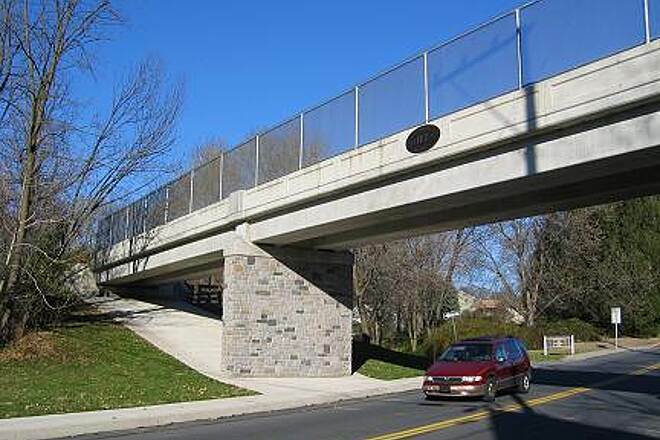 The bridge was dedicated in 2001. 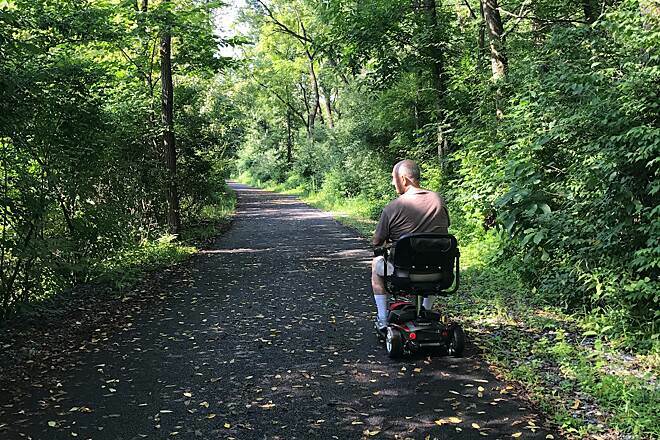 The unpaved trail segment between Lehigh Street and Eberhart Road in Whitehall Township. 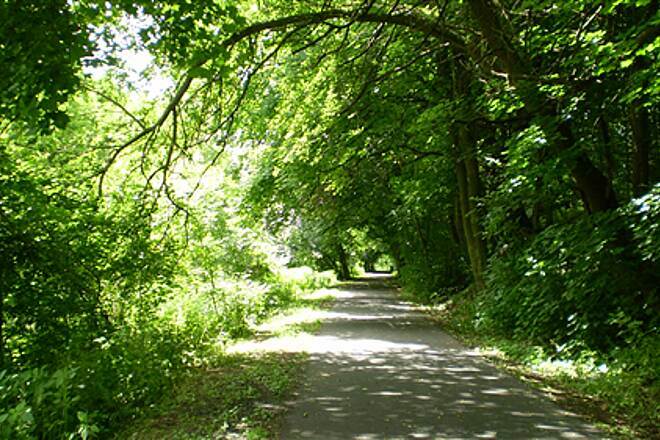 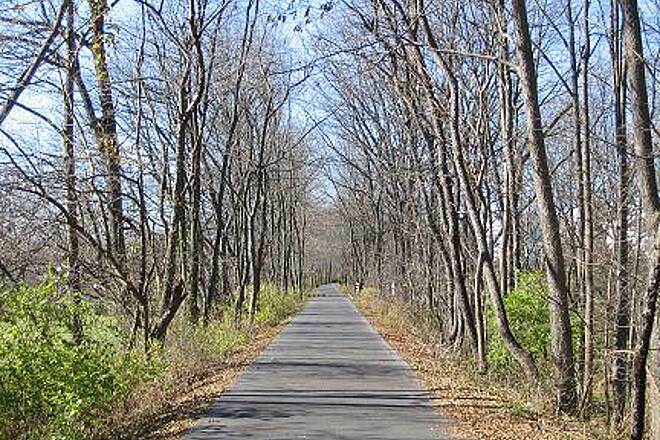 A paved trail segment northwest of Hokendauqua Park in Whitehall Township. 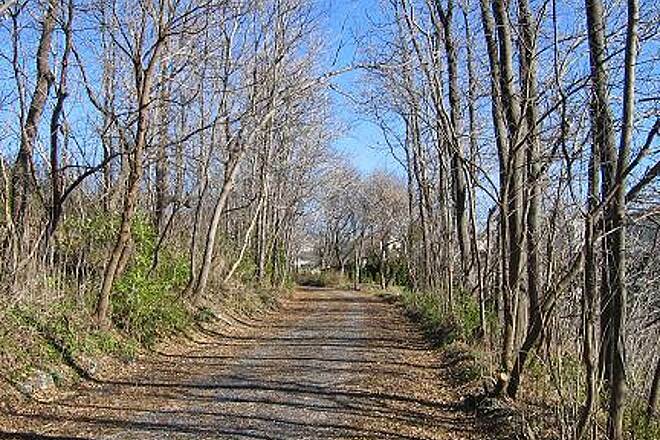 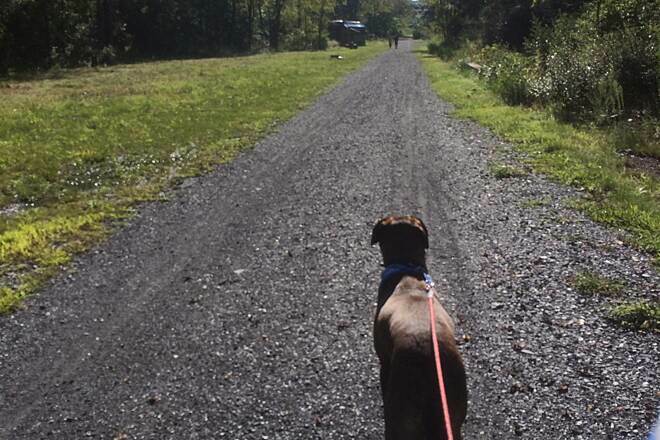 An unpaved trail segment near Columbia Street in Whitehall Township.